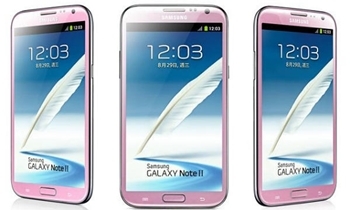 Great news for Galaxy Note II fans in Korea because Samsung has recently released their flagship phablet the Galaxy Note II in a Martin Pink version. Those who might not know the Samsung in early September in 2012 also released a Galaxy S III version of Martin Pink which must have been a great success in Korea that might be the reason that Samsung also turns their Galaxy Note II in Martin Pink. To explain what martin Pink really is Samsung took the name from a rare diamond which itself was named from a U. S. A satellite that landed on Mars in 1976. The story of the Mars landing inspired Harry Winston so much that the jeweler found a way to cut a diamond so as to make the pink color stand out.